Apple has pushed out a new iOS 7 update. 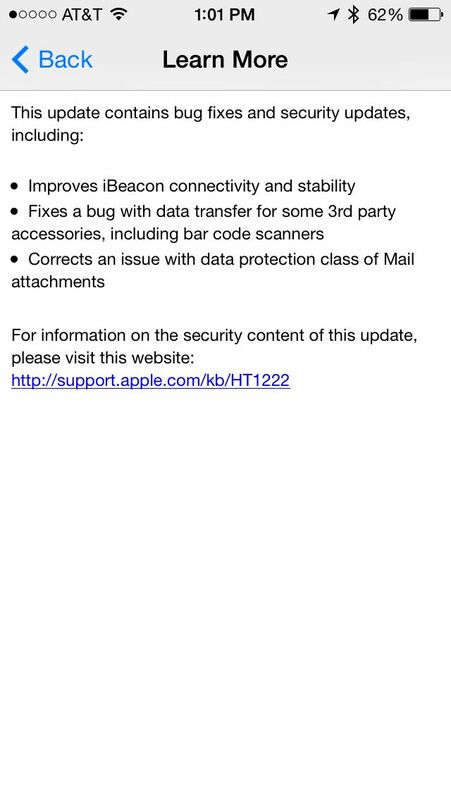 Version iOS 7.1.2 is available over-the-air (OTA). The update includes various bug fixes and it is available for iPhone/iPod touch and iPad.